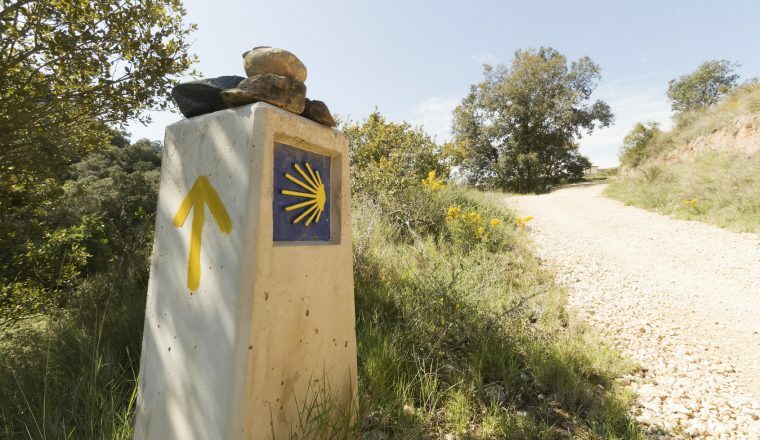 This is the eleventh and final stage of the Way of Saint James, one of the most famous pilgrimages in all of Christianity. This fifteen-day tour is the eleventh and final stage of the Way of Saint James Pilgrimage Route. 14 nights accommodation, 14 breakfasts, 13 dinners, luggage moved from hotel to hotel, maps and route notes and back up if required. Leon train and bus station. Nearest airport is Asturias Oviedo (Easyjet) or Valladolid (Ryanair). From Madrid a train takes 4 hours. Santiago de Compostela has a train and bus station and an international airport. 4 to 8 hours walking a day (there are 3 long days, but they can be shortened: ask for more information). Day 2: Leon – Hospital de Orbigo, 36 km/22.5 miles (shuttle possible at extra cost). Day 3: Hospital de Orbigo – Astorga, 17.8 km/11.1 miles. Day 4: Astorga – Rabanal del Camino, 20.6 km/12.9 miles. Day 5: Rabanal – Ponferrada : 32.7 km/20.4 miles. Day 6: Ponferrada – Vilafranca del Bierzo, 22.5 km/14.1 miles. Day 7: Vilafranca del Bierzo – El Cebreiro, 30 km/18.75 miles. Day 8: El Cebreiro – Triascastela, 21 km/13.1 miles. Day 9: Triascatela – Sarria, 17.5 km/10.9 miles. Day 10: Sarria – Portomarin, 22.5 km/14.1 miles. Altitude at departure: 420m/1386ft. Tracks and paths take us through hamlets and villages to Portomarin, a village reconstructed higher upon the slopes after the original in the valley had to make way for a lake created with the construction of a dam. Day 11: Portomarin – Palas de Rei, 24.5 km/15.3 miles. Altitude at departure: 550m/1815ft. The route after Hospital de la Cruz follows a charming path that meanders through woods, hedges and prairies, dotted with the very distinctive local granaries (‘horreos’), and crucifixes similar to those in Brittany that remind us that we are in Celtic country. Day 12: Palas de Rei – Arzua, 28.8 km/18 miles. Altitude at departure: 565m/1865ft. Almost without realising it we lose altitude as we approach the sea and lots of greenery and forests of eucalyptus. Half way, Melide (454m/1498ft) marks the meeting point of the Camino Frances and the northern most variant of the Camino del Norte. Day 13: Arzua – Lavacolla, 28.8 km/18 miles. Day 14: Lavacolla – SANTIAGO de COMPOSTELA, 10.1 km/6.3 miles.